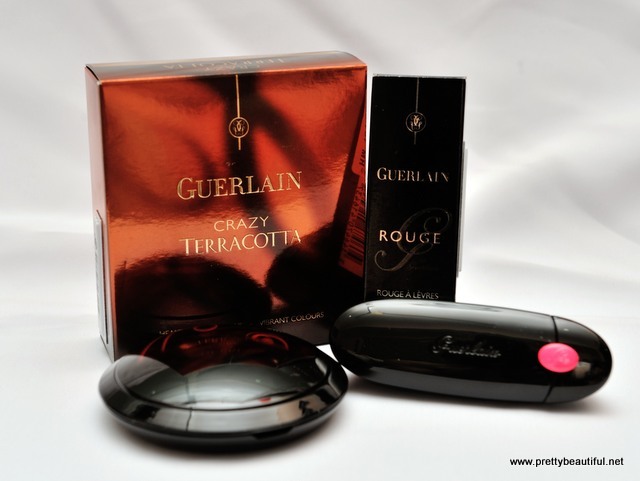 When I first read about the Guerlain Holiday Collection this year, I wasn’t too keen on getting the meteorites as I am not liking the funky packaging, and the balls that seem a little too pinkish. However, after reading ParisB post, I knew I had to check the Terracotta out. We don’t always get bronzer with pink pigments that can be used as a blusher too! So over the weekend, I made a quick trip down to KLCC Parkson to check out the collection and to pick up the Crazy Terracotta Healthy Glow Powder. As the temptation was too great, I gave in and picked up Rouge G in Provocative too. This Crazy Paris Collection consists of a palette, meteorites, Automatic Shine, nail polishes, and a shimmer powder. The black packaging looking sleek and less of a finger print magnet as compared to the silver. 68, is the Guerlain flagship store address in Champs-Élysées, Paris. Shopping in the flagship store gave me some great thrill. It was a pity that I had nothing to pick up from the store when I was there. But on the bright side, getting Guerlain in Malaysia is better than in Paris because we get to collect points to redeem some vouchers 😉 and it’s not cheaper overseas. A closer look at this beauty. It’s pigmented, and it’s easy to pick up. Do note that it has the usual rosey scent in this. It disappears once it’s on your face. To use it as a bronzer, you can swirl around the brown area only. 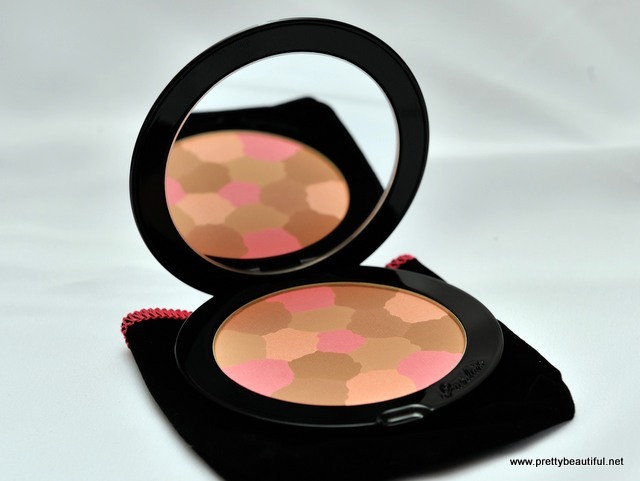 If you were to use it a blusher, you just need to swirl across and you get a lovely glow. It’s a warm tone with hint of pink. It will really compliment any skin tone. 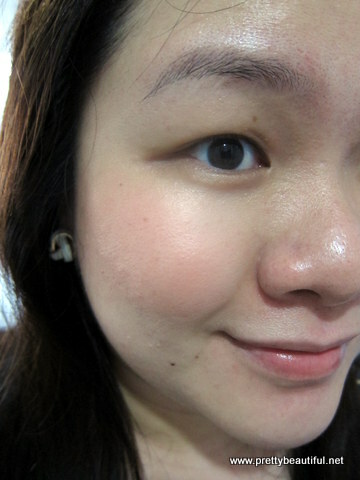 This is how it looks on my skin, without foundation on my face. I like the healthy glow on my face with this bronzer/blusher. 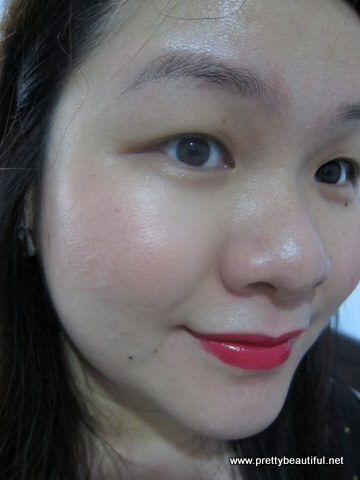 And it’s quite lasting even without a base/foundation in our hot and humid weather. 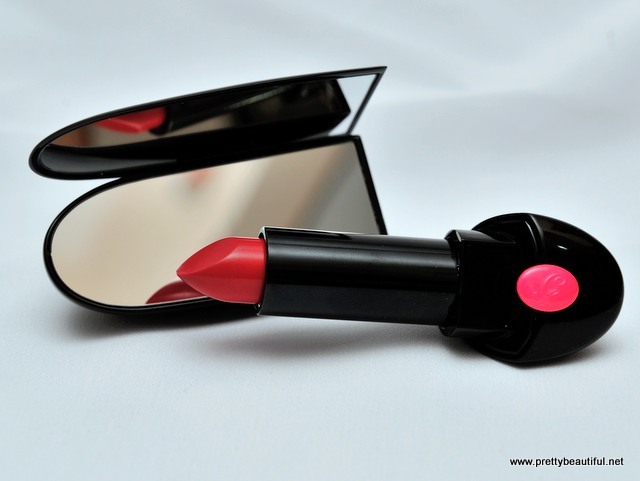 For the Rouge G, it only comes in 1 shade – Provocative 863. 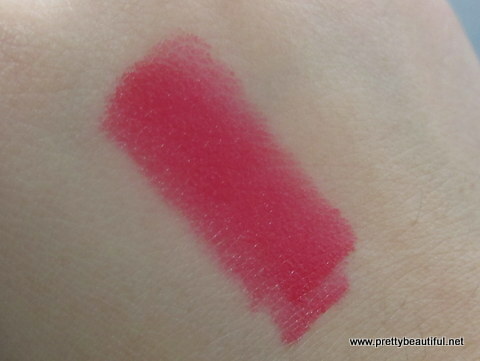 Compared to the Shine Automatic, Rouge G lasts much longer on me, and once you go there, you cannot go back! It’s a bright deep pink and it’s less intimidating compared to bright red. It’s smooth and creamy, and glides on easily, even on dry lips. I love how it looks on me and it’s long lasting despite my frequent drinking through out the day. I usually only reapply once after lunch and it stays until after work. The usual Rouge G compared to this Crazy Rouge G.
However, I am not sure if it’s just me, the feel of this Rouge G is not as solid as the silver bullet, It feels lighter and it feels like the cap is coming loose when it’s not. 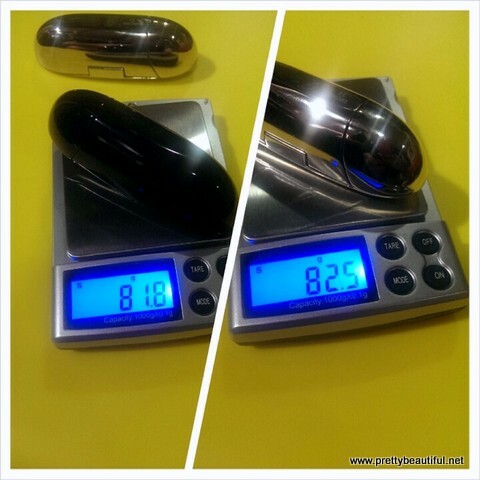 Out of curiosity, I weighed both of them and true that, the silver is still heavier when it’s almost half used. There is a promotion for the Crazy Meteorites at RM118 as compared to the usual RM181. I almost gave in to buying that…because it’s cheaper! I am glad that I managed to stay composed and only bought 2 items, that I am glad with. Have you pick up anything from this collection, or are you eyeing on any? If you are, hurry up to pick up one! omg la! 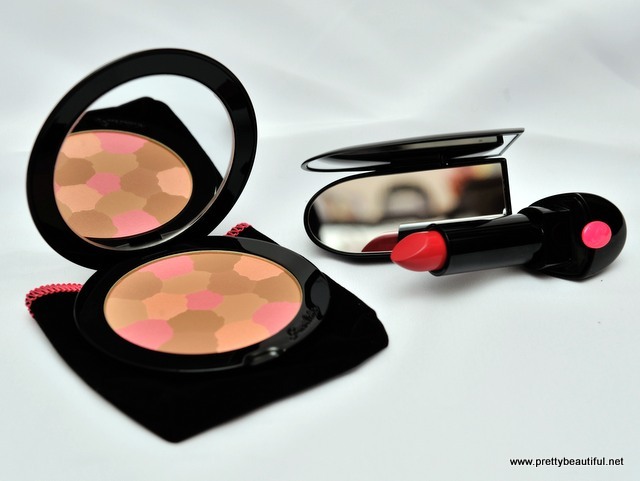 now i oso want that bronzer/ blusher, but i must resist…. resist i must! and your skin look so nice! so clear and radiant leh! It is really really really beautiful! That bronzer/blush is so pretty, love it! Previous post: HG Discovery: Ecotools Sustainable Moisture Socks – Retain moisture while you sleep! Next post: NEW! Cath Kidston is now in Mid Valley Megamall Malaysia!